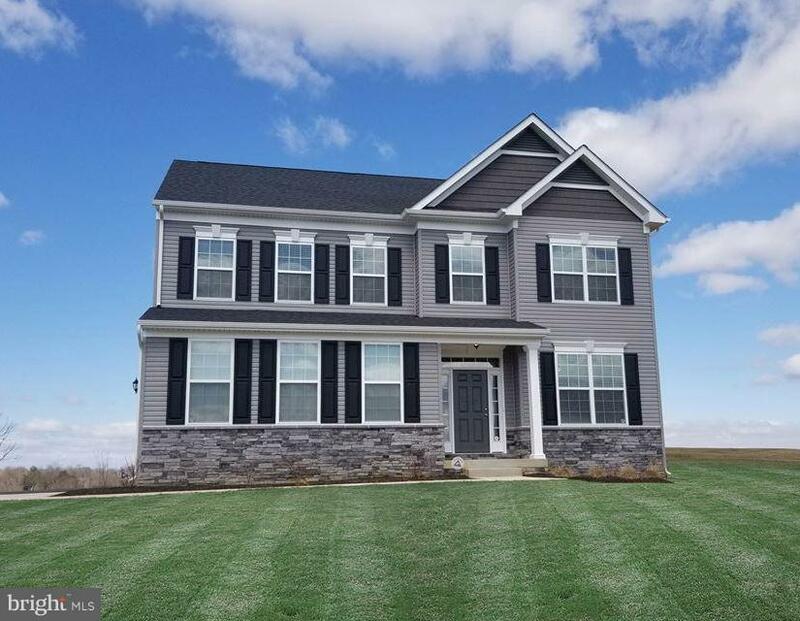 All Williamsport homes currently listed for sale in Williamsport as of 04/24/2019 are shown below. You can change the search criteria at any time by pressing the 'Change Search' button below. 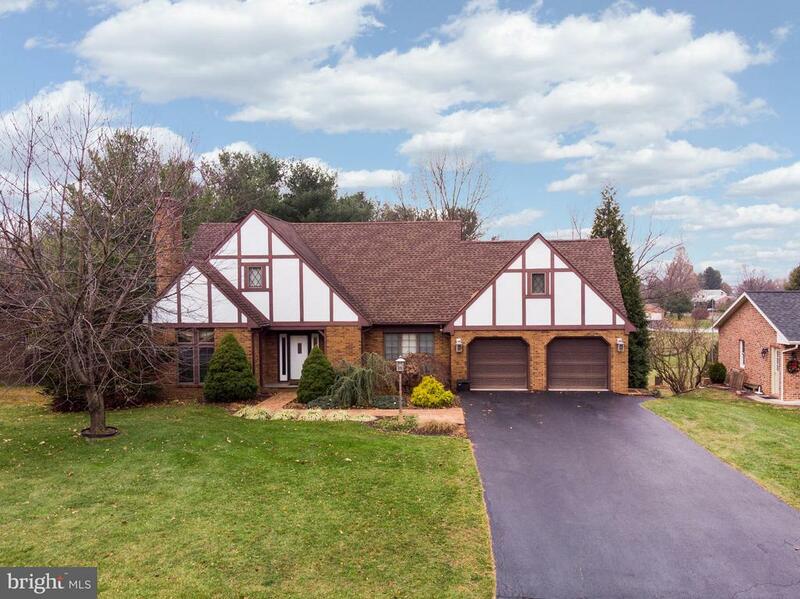 If you have any questions or you would like more information about any Williamsport homes for sale or other Williamsport real estate, please contact us and one of our knowledgeable Williamsport REALTORS® would be pleased to assist you. "The Famous Williamsport Byron Tannery.380,707 square feet facility located on 17 acres 31 Acers total.Public natural gas, eclectic and water.Private sewer treatment facility with minimum capacity of 1.2 million gallons per day.Private spring water well with pumping capability of 136 gallons per minute.Zoned ORI, Office Research and Industry District. Approx. 31+ Acres ~parcels 107 & 110~. Clean Environmental. Excellent Location. 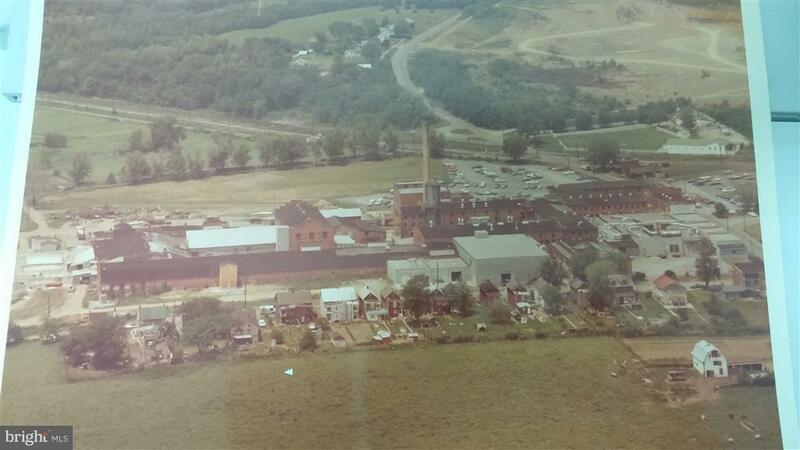 Less than 2 miles to I-81 and just over 3 miles to I-70.6 Individual Buildings.Rail Service Available." "Brick Rancher situated on 24.46 acres. Updated appliances and hardwood floors. 2-car garage, master walk-in closet. 4 parcels being sold together. Features farmette in rear w/ tractor & block shed out buildings. Tenant occupied must give 48 hours notice for showings." "You do not want to miss out on this spectacular home. Lovely, partially wooded 1.3 acre lot located in a small development (Potomac Estates) in Williamsport. 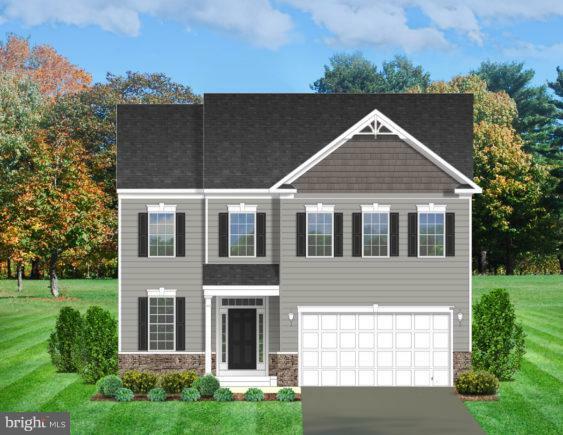 Expect perfection when you enter this beautifully executed home new gorgeous granite countertops, new backsplash, updated cabinets, hardware, kitchen sink and faucet. New granite also in master and hallway bath. Enjoy the wood burning fireplace in the living room as well as the oil heat (only on first floor) for those colder days. New carpet throughout the home, new paint, heat pump and HVAC systems range from 1 to 4 years old. Top level is an expansive finished area with it's on mini split system. Finished basement with full bath and beautiful yard are complimented by a heated inground heated 16x32 pool with diving board surrounded by a low maintenance vinyl fence. 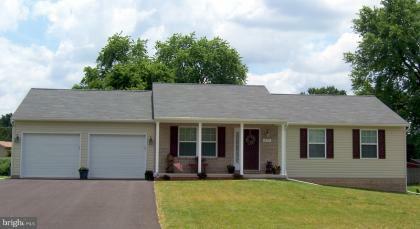 This home is extremely well maintained by original owners. Prequalified buyers only please. Won't last long!" 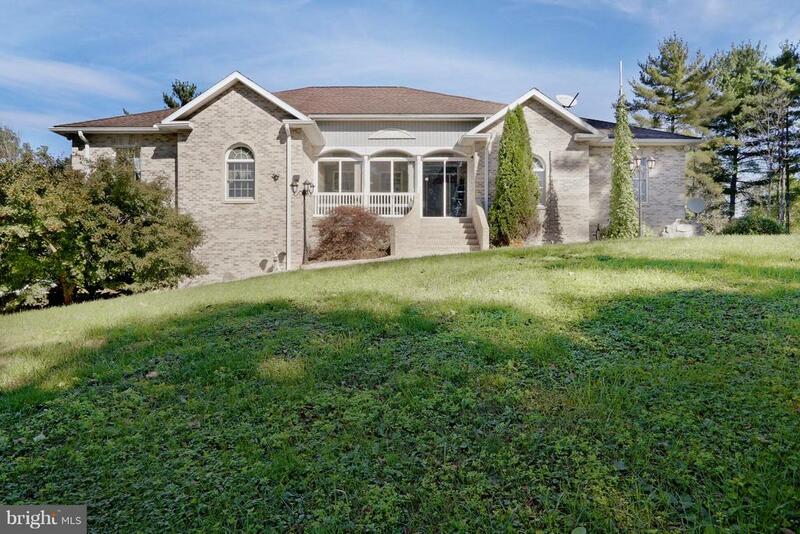 "Trying to get away from it all, take a look at this custom built secluded brick and siding home. 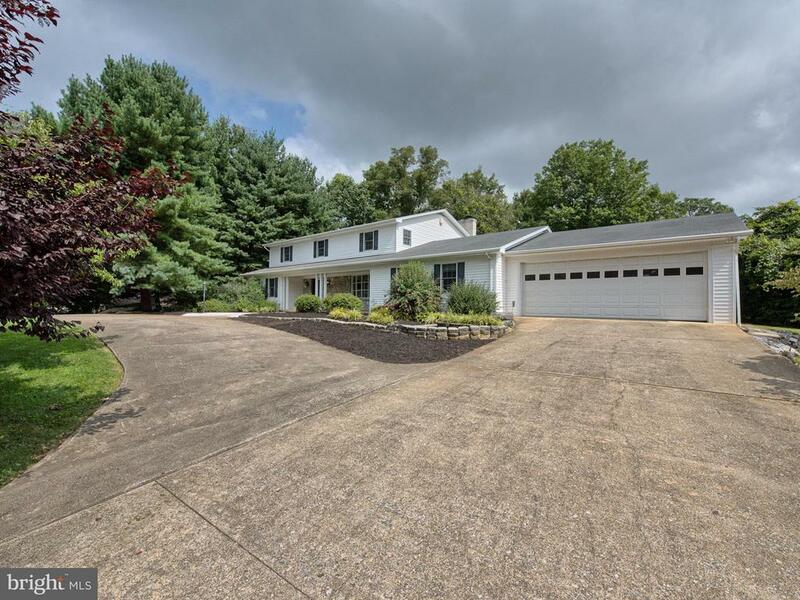 This home has it all lots of square footage 6 bedrooms 5 baths ,handicap accessible,3 car garage,some heated floors,huge finished basement on 2.77 acres . 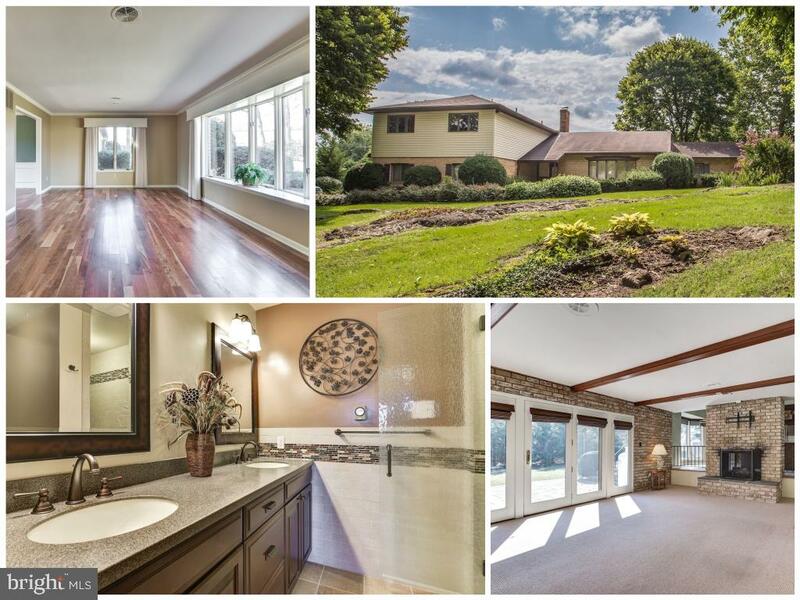 perfect for multiple generation family living.."
"Fabulous farmette on 3.75 acres! 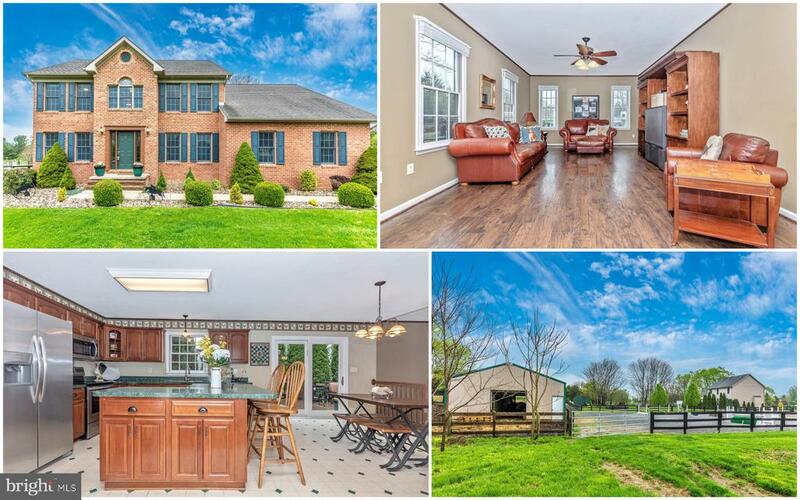 This stunning property is move in ready for you and your animals! 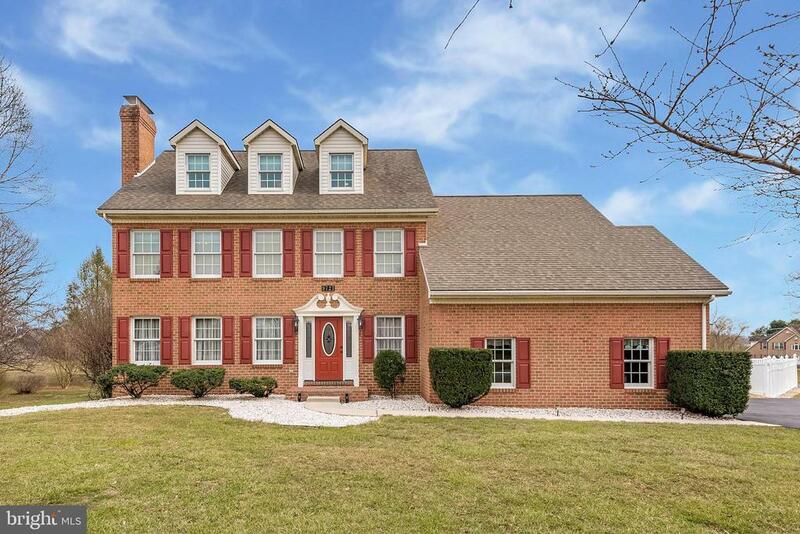 Meticulously maintained brick Colonial w/ 4 beds, 2.5 baths offers over 3,400 sq ft of living space. Main level boasts an office, formal living and dining rooms, open concept eat in kitchen w/ center island and a den that is flooded in natural light! Master suite w/ attached bath, sitting room and oversized walk-in closet! Partially finished basement with spacious family room, a game room and plenty of storage. Gorgeous corner lot property is fully fenced and includes a 4 stall 30 x 40 barn with tack room, feed room, water & electricity, an 80 x 120 riding ring w/ stone dust footing, and 4 paddocks. Riding access to C & O Canal! Other highlights of this home include the attached side loading 2 car garage, a whole house generator and a multi-level rear deck which is ideal for entertaining!" "This floor plan is 3133 square feet. 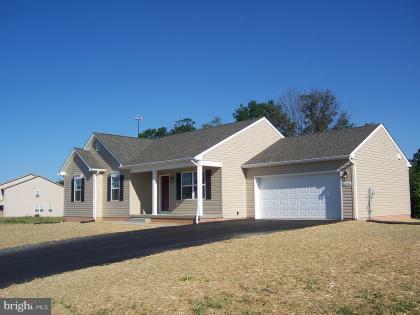 4 bedrooms, 2.5 baths all on just about a 1/2 acre home site. Floor plan features open layout with spacious bedrooms and tons of storage space. 9' ceilings on first floor INCLUDED. Just minutes from I81 and I70. Only 1 home site remains with a new release coming later soon. Model home open Friday-Sunday 12-5pm. **Photos are similar construction**"
"CURRENTLY UNDER CONSTRUCTION. APRIL MOVE IN. Our popular Weston floor plan is 1884 square feet. 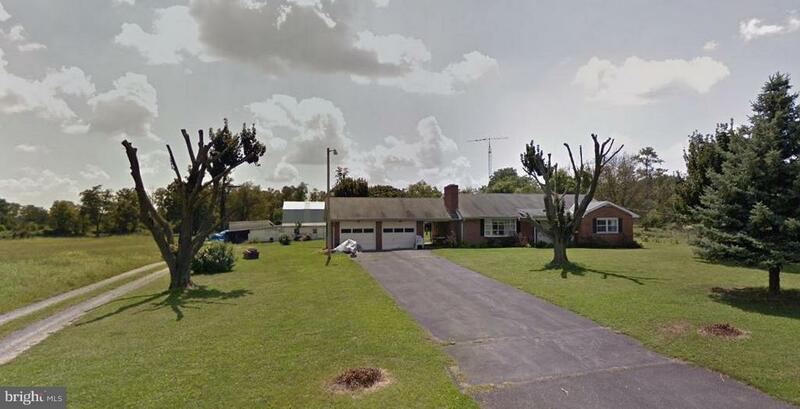 3 bedrooms, 2 baths all on just about a 1/2 acre home site. Floorplan features open layout with spacious bedrooms and tons of storage space. 9' ceilings INCLUDED. Oversized two car garage, walkout basement with rough in for future bath. Just minutes from I81 and I70. 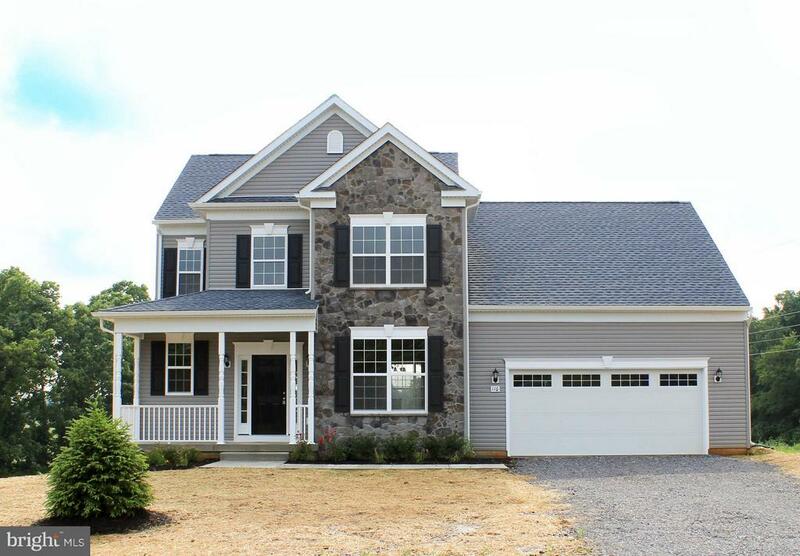 Model home open Thursday-Monday 12-5pm"
"Price Reduced! Fabulous 3856 sq. ft. custom built home! Almost a full acre between the front and back lot w/HUUUGE attached 2 car garage and room for ALL the toys! Brand new stainless steel appliances, new air handler and blower, Corian counters, a ton of cabinets and freshly painted from top to bottom for move in on day 1! Tucked quietly in the back of a BEAUTIFUL, quiet cul-de-sac and just a stones throw from 70 and 81. Motivated seller will entertain all reasonable offers so dont hesitate! See it, fall in love, and make it yours today!" 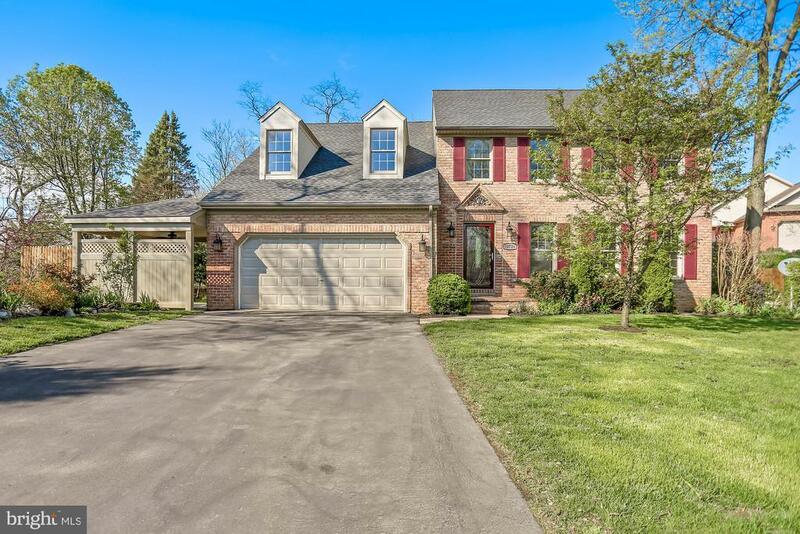 "Beautiful 4 bedroom, 2.5 bath, all-brick Colonial in well-kept neighborhood at the end of a quiet cul-de-sac. Many upgrades including new roof (Fall 2018). Main level features updated kitchen with granite countertops, custom tile backsplash and eat-in area, separate dining room, formal living room, half bath, and family room with brick fireplace. 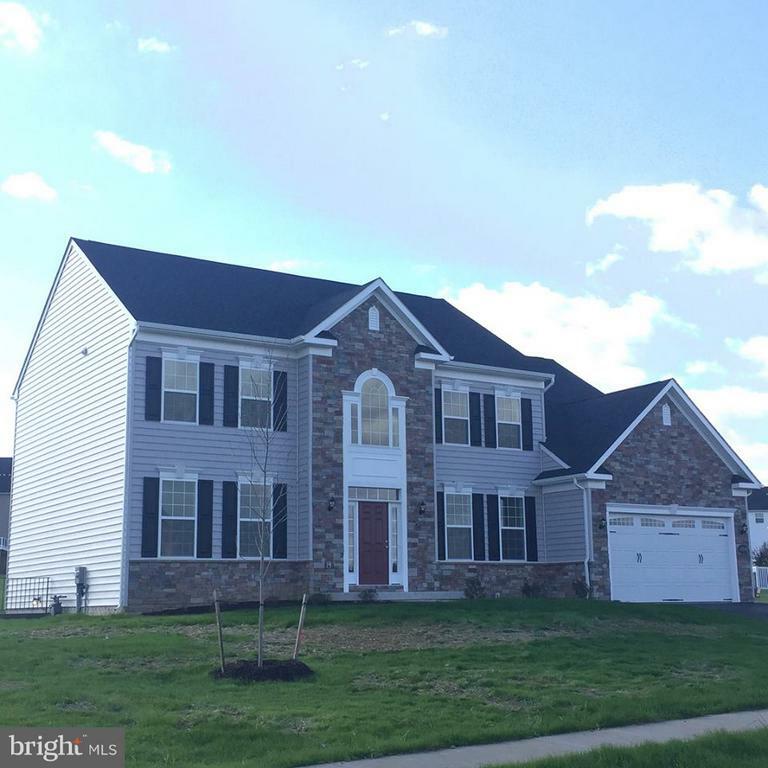 Upstairs features large Master bedroom with large walk-in closet and private master bathroom, huge bonus room (or bedroom) with double dormers and lots of natural light, two more good sized bedrooms and an updated full bath. Fully-finished basement features good-sized rec room with separate area that could be a hobby room, game room, craft room, workshop, etc. Property features a beautiful, fully-fenced backyard with a deck and separate covered patio to enjoy the private and serene setting." "First floor owners suite are at Elmwood Farm! Over 2300 sqft. This floorplan is the entertainers dream. Open floorplan with central kitchen hub. Owners suite on first floor with 3 bedrooms on second level. So many ways to customize! You tell us what you need to make your next house a home. 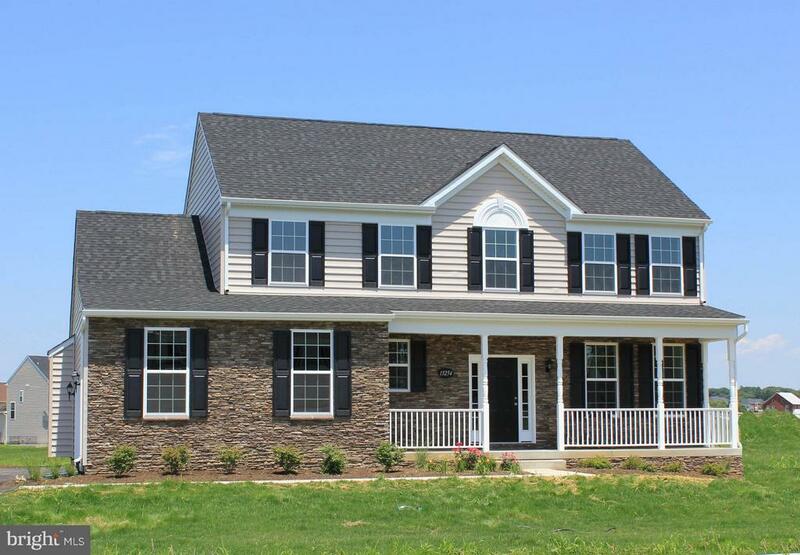 Only 1 homesite remains with more coming soon! *Photos show similar construction and optional features*"
"This floor plan is 2325 square feet. 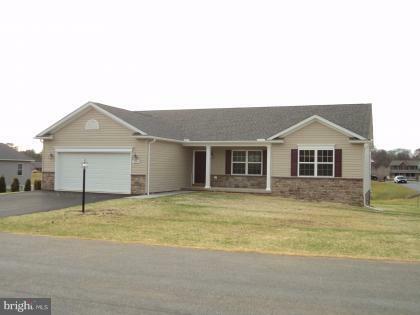 4 bedrooms, 2.5 baths all on just about a 1/2 acre home site. Floor plan features open layout with spacious bedrooms and tons of storage space. 9' ceilings on first floor INCLUDED. Just minutes from I81 and I70. Only 1 home site remains with a new release coming later soon. 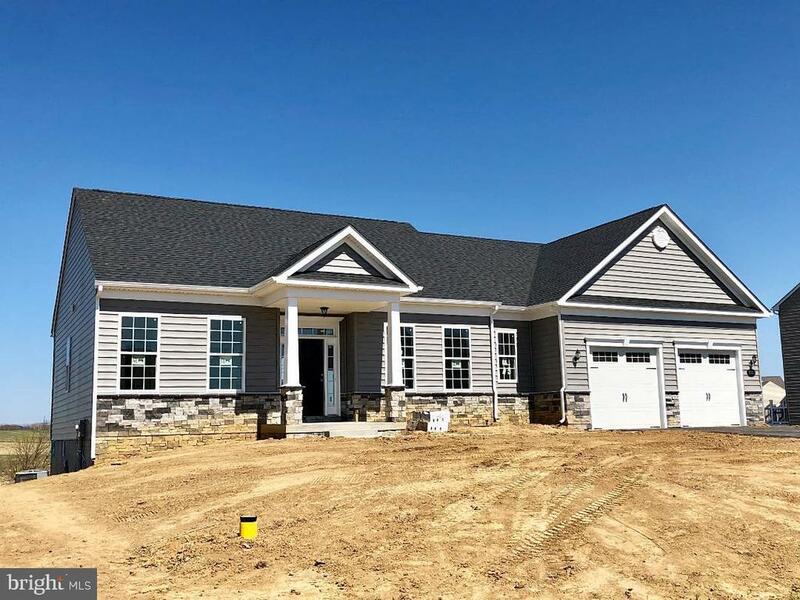 Model home open Thursday-Monday 12pm-5pm"
"**1/2 ACRE +/- LOTS** 4BR, 2.5BA with a 2 car garage! This floor plan allows full customization to fit your desired wants and needs. High ceilings, open rooms with tons of storage and an unfinished basement. Contact to set up an appointment! 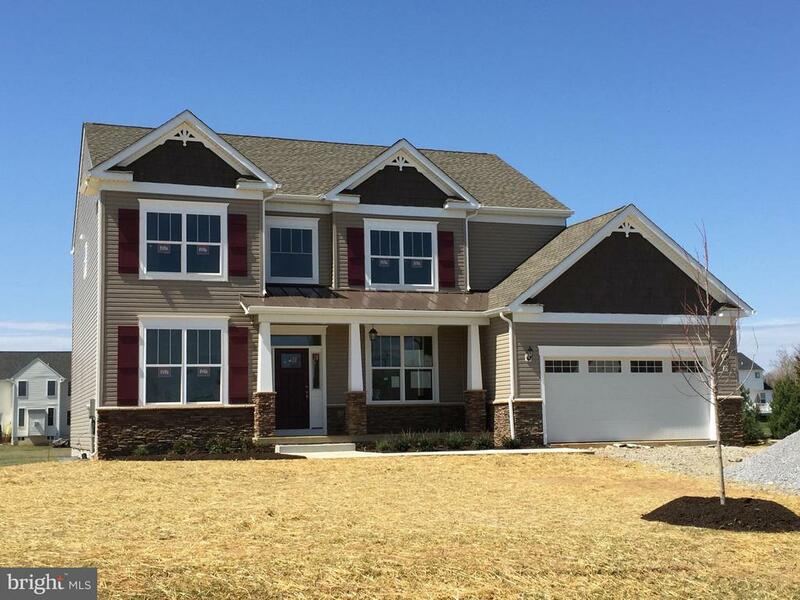 Model home is open Thursday-Monday 12p-5p. 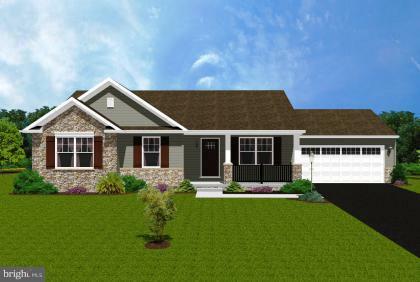 **Photos of similar construction with optional features**"
"THIS FLOOR PLAN IS 2,171 SQFT ON A .50 ACRE + LOT. It includes 4 bedrooms, 2.5 bathrooms and a 2 car garage! This modern floor plan allows for a multitude of customization to fit your desired wants, needs, and specifications. Open spaces and lots of room for storage! Visit our model home from 12p-5p Thursday- Monday"
"Elegant brick Tudor, offering 4 bed 2.5 baths. Cozy living room with hardwood floor and gas fireplace, formal dining room. Kitchen has access to fabulous deck with awning. Step down family room offers gas fireplace hook up. First-floor office could be 5th bedroom. Master bedroom is HUGE with 'his and her' closets. Bonus room, unfinished, walkout level basement and shed. Lots of architectural details in this carefully maintained house. HWH 2018, Grinder pump 2018, seller owns LP tank (for gas grill and fireplace)." "Located in the desirable neighborhood of Tammany Manor and situated among mature trees, this fantastic home offers over 3,300 sq ft of living space to enjoy! A sprawling main level boasts both a living room and dining room accented by custom hardwood cherry floors and gorgeous trim detail that really makes an impact! The kitchen and family room are sure to be the heart of this home! With quartz counter tops, a double wall oven, cooktop and undermount sink this kitchen will surely delight your inner chef! A two sided gas fireplace accents one end of the spacious family room with a wall of built in cabinets and shelves at the other. Step out onto the tiered patio to enjoy a bit of the outdoors. A main level master suite features a beamed cathedral ceiling and an en suite with dual vanities and a jetted tub! Rounding out the main level is a home office with a built in desk and ample storage, a convenient mud/laundry room and a powder room. The upper level hosts the second suite which is highlighted by an exquisitely updated bath and an over-sized walk in closet complete with built in vanity. Two additional generously sized bedrooms and a large storage closet complete the upper level. Other highlights include the whole house surround system, a 2 car attached garage and the beautifully landscaped fenced in rear yard! This home has something for everyone and room to grow! 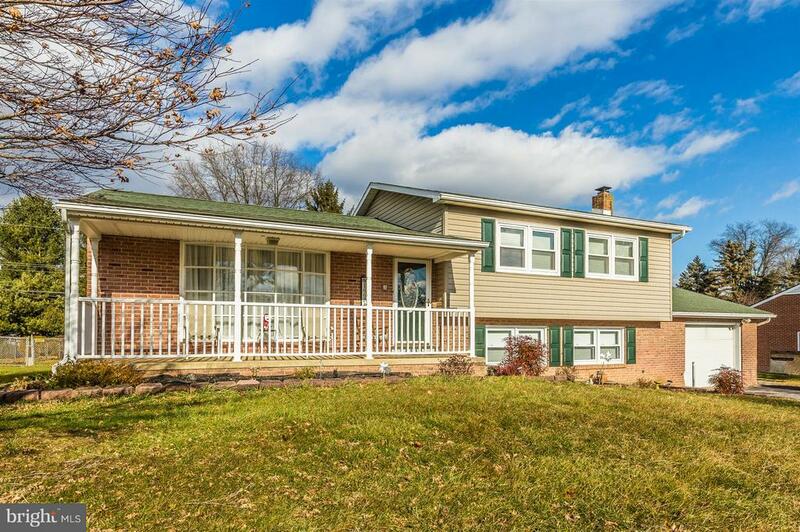 Close to commuter routes, shopping, schools & scenic C&O Canal!" "This floor plan is 2074 square feet. 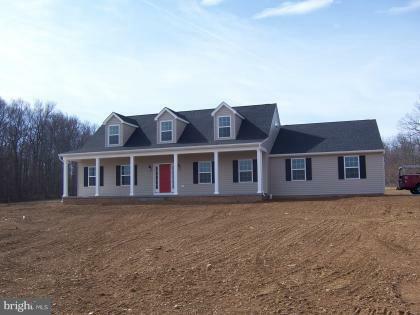 4 bedrooms, 2.5 baths all on just about a 1/2 acre homesite. 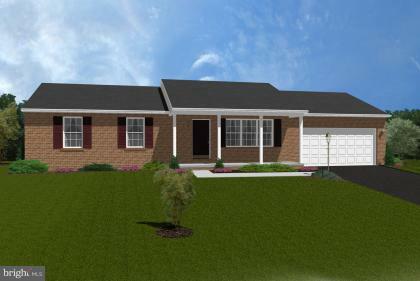 Floorplan features open layout with spacious bedrooms and tons of storage space. 9' ceilings on first floor INCLUDED. Just minutes from I81 and I70. Only 1 homesite remains with a new release coming later soon. Model home open Friday-Sunday 12-5pm." "Completely updated split level home in quiet neighborhood. Granite counters and new tile in the kitchen. Brand new floors on the main level. Relax by the pool & barbecue on the patio. Only a 30min drive to Frederick. Convenient to all commuter routes!"